A luxury private housing development in Derbyshire has become the latest to benefit from pitched roof tile manufacturer, Russell Roof Tiles’ Lothian tile. The thinner-leading edge tile has seen a high increase in demand, thanks to its growing popularity specifically within the housebuilding sector. Customers are increasingly choosing to specify the product time and again, due to it being a cost-effective and sustainable solution, whilst being able to replicate local natural slate found across the UK. This was the certainly the case for Derbyshire based Wheeldon Homes – a housebuilder who has been building quality homes in and around the East Midlands for more than 150 years. The team recently completed a small development of 25 two, three, four and five-bedroom houses on the outskirts of the historical spa town of Matlock – an area where natural slate is very prominent. Having worked with Russell Roof Tiles for more than three years, Wheeldon Homes has regularly tried to specify the manufacturer’s Lothian thinner leading-edge tiles, where local planning requirements permit. On this occasion, Russell Roof Tiles’ Lothian tiles in Anthracite were specified. Lothian tiles form part of Russell Roof Tiles’ Natural Range of products – an expanding selection of thinner leading-edge interlocking concrete tiles that have the appearance of natural slate, stone and clay, whilst offering the long-lasting attributes of a concrete interlocking roof tile. The thinner leading-edge design also features a mock joint and hidden interlock, helping to speed up installation, making it faster and easier for developers and builders. When laid, the tile gives the appearance of a small format tile with the commercial benefits of a larger format tile. James Pendleton, Regional Sales Director for the Midlands and North said: “Our commitment to delivering a consistent and reliable product has seen developers and builders return to us on a regular basis for a suitable pitched roofing requirement. Russell Roof Tiles continues to work on pitched roofing projects with Wheeldon Homes across the East Midlands. 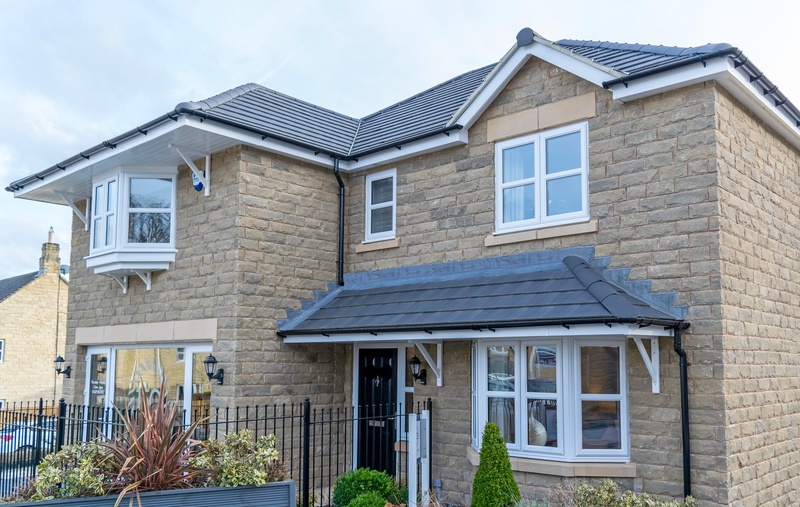 This includes 60 homes in Alfreton, which have also benefitted from the Lothian tile in Anthracite.